Egypt is a country with substantial history and culture that has captured the imagination of people around the world for centuries. The ancient mysteries of a civilization can be seen around the country, which is what makes an Egypt vacation a great choice for old and young alike. 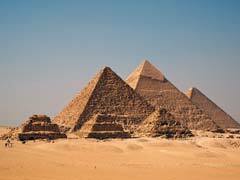 There is no denying that Egypt’s main tourist attractions are the Great Pyramids of Giza on the outskirts of the city of Cairo. The Great Pyramids and the Sphinx call this area home, as do the Workers’ Village and numerous cemeteries within the complex. This is an UNESCO World Heritage Site and one of the premiere attractions within the country. Cairo is also a base for the field trips to many other pyramids like the Dahshur and Saqqara pyramid complexes, to name but a few. As the capital city of the country, Cairo makes any Egypt travel guide as most tourists start their explorations from there, combining history and culture into their experience. The Egyptian Antiquities Museum, built in 1902 has the largest collection of Egyptian artifacts in the world under its roof. This makes a wonderful starting point and great Egypt tourist attraction in itself as guests can see death masks, sarcophaguses, artifacts, tombs and the Royal Mummy Room along with many other interesting things. Islamic Cairo is a World Heritage Site showcasing the Cairo of old with lots of monuments, mosques, bathhouses and homes, while not far away is another World Heritage Site, this one the Old City of Coptic Cairo. This is the oldest part of the city and has five original churches, the first Mosque built in the country and the oldest Synagogue as well. For sprawling views of the city, don’t miss the Cairo Tower, an intricately decorated landmark that has a revolving restaurant on the top as well as an observation deck for the great views. What Egypt vacation would be complete without a trip down the Nile on a cruise? 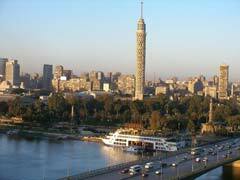 A Nile dinner cruise allows you to sit back and take in the sights of the ancient ruins and mosques as you cruise around on the famous waterway. Karnak Temple Complex is another Egypt tourist attraction that offers an open air museum of sorts as you explore the temples, chapels and pylons. As the largest ancient religious site in the world, this site north of the city of Luxor is world renowned and definitely something to see. Located along the west bank of the Nile is the Valley of the Kings, the valley where tombs were constructed for the Pharaohs and powerful nobles of the New Kingdom. 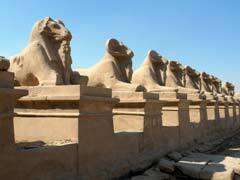 Sitting opposite the city of Luxor, the site holds at least 63 tombs and chambers and is a famous archeological site. Abu Simbel is a home to the Temple of Ramesses II, Nefertari’s Temple of Hathor and the sound and light show, where projections are put onto the temples and set to music, certainly to the delight of the visitors in attendance. Part of the beauty of Abu Simbel is the knowledge that the ancient ruins and monuments have actually been relocated there, without a hint of damage. Carved out of the rocks themselves, these ruins are truly something to see within any Egypt vacation. For a different type of Egypt tourist attraction, look no further than the Red Sea Riviera, a collection of resort towns located on the western shore of the Gulf of Aqaba. With warm waters, a temperate climate and miles and miles of beaches, this can be an Egypt vacation destination all by itself. Sharm el-Sheikh on the southern tip of the Sinai Peninsula is also a great spot for diving where visitors can see 250 different types of coral and 1000 different types of fish. Again, the clear and calm waters also make this a mecca for snorkeling, boating and other watersports. Dahab is a popular scuba diving and windsurfing spot that is also a great place to snorkel thanks to the calm waters. The Red Sea Blue Hole Diving spot and the Canyon are both internationally famous places to dive. 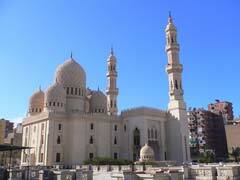 Hurghada is a main tourist center where scuba diving around shipwrecks is possible. It is dry and temperate year round and offers stretches of sandy beaches, warm waters and of course, phenomenal places to dive. If your Egypt vacation takes you to the north of the country, Alexandria is a lovely city to visit right on the Mediterranean Sea. The Catacombs of Kom el-Shoqafa make a great Egypt tourist attraction as visitors can visit the main room and the room used for funeral feasts. Pompey’s Pillar is a 25-meters tall granite tower, circa AD 297, while Fort Qaitbey built in the 1480’s to protect the city is home to Roman tombs, while The Corniche is a 3 km walk that showcases the markets and historic sites located along the coastline. Egypt is a place of history and many wonders to see, it is also a great place to kick back and relax, making it a wonderful vacation destination.